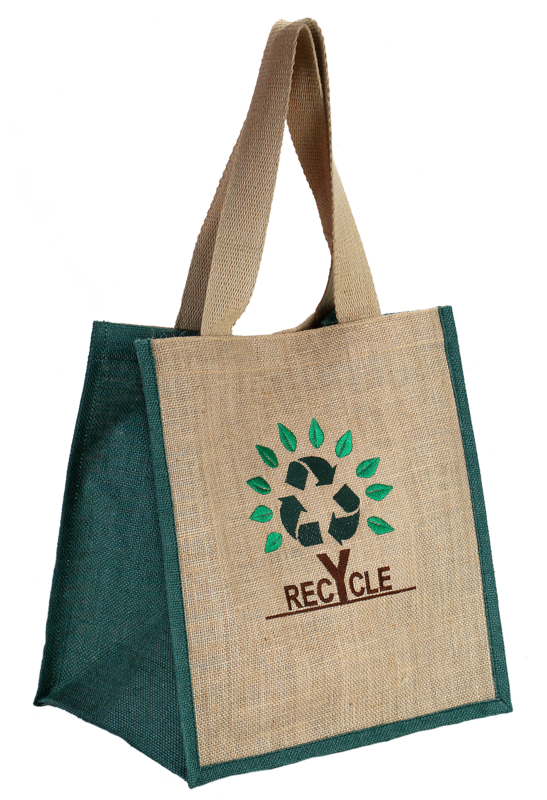 This promotional bag symbolizes the original color of jute with the contrast of eco-friendly green shade. 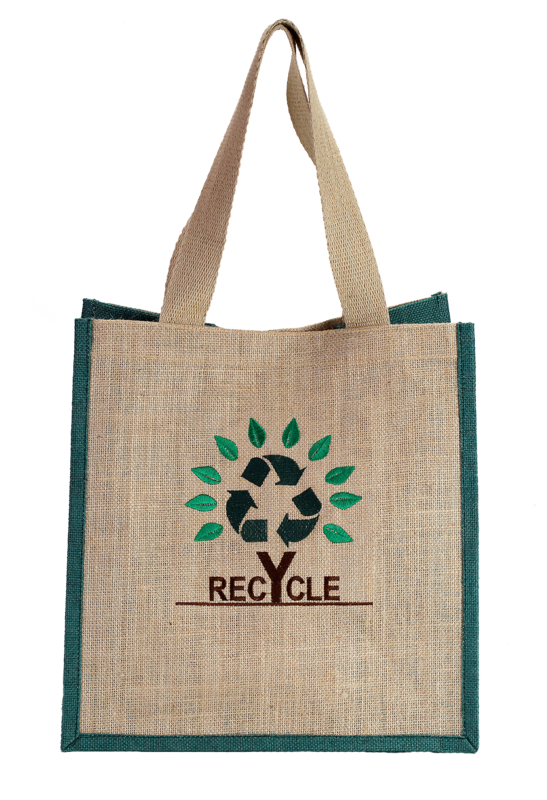 Made from Jute fiber, it has a recycle emblem printed on its body, which is a message for the users to go for biodegradable products. 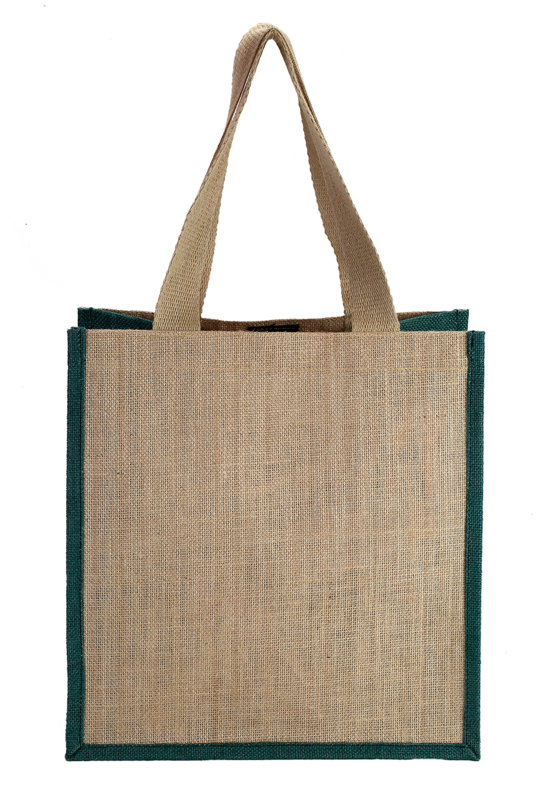 Though it has common features like other jute bags, but its design and unique finish make the product extraordinary, and easy to carry and take in any place. It is moreover very spacious with 34.5cm height, 33cm width and 15cm depth.